Yesterday I had the pleasure of photographing my first wedding of 2019 – Lindsay and Adrian’s beautiful winter wedding at Trevenna Barns in St Neot, Cornwall. The weather had been wet for most of the day, but we were lucky enough to get outside briefly later in the afternoon to take some family group shots and also to have a ‘couple time shoot’ within the grounds of the barns. Lindsay and Adrian took their vows in the Garden Room which was beautifully decorated with splashes of bright colour with the inspiration being ‘Spring flowers’. After the wedding ceremony Lindsay, Adrian and their guests enjoyed mulled wine and gin and tonic within the comfort of the Threshing Barn, where they enjoyed the warmth of a roaring fire. Later on in the afternoon everyone was seated for a three course wedding feast back in the Garden Room. 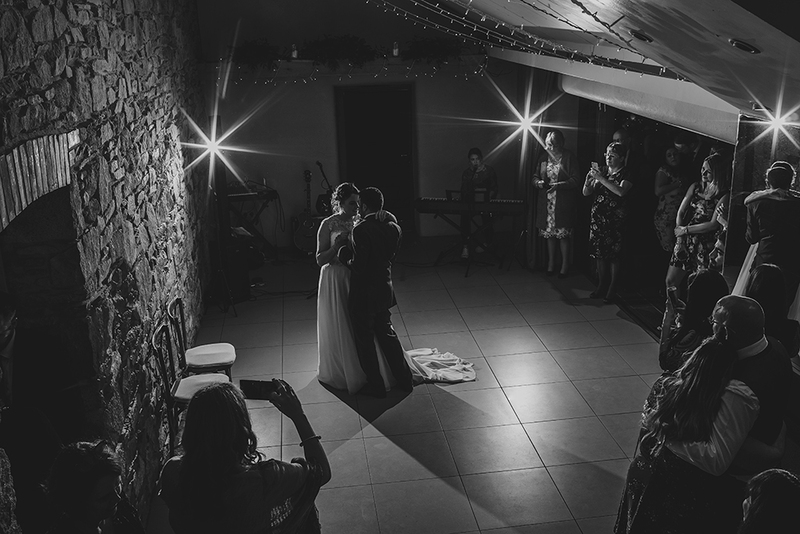 This preview picture was taken during the happy couple’s first dance in the Threshing Barn, where I used a couple of flashes on stands to illuminate them both. If you are getting married this year and are looking for a Cornwall wedding photographer to capture your special day, my 2019 diary is almost full. Please do get in touch to check availability, I would love to hear from you.